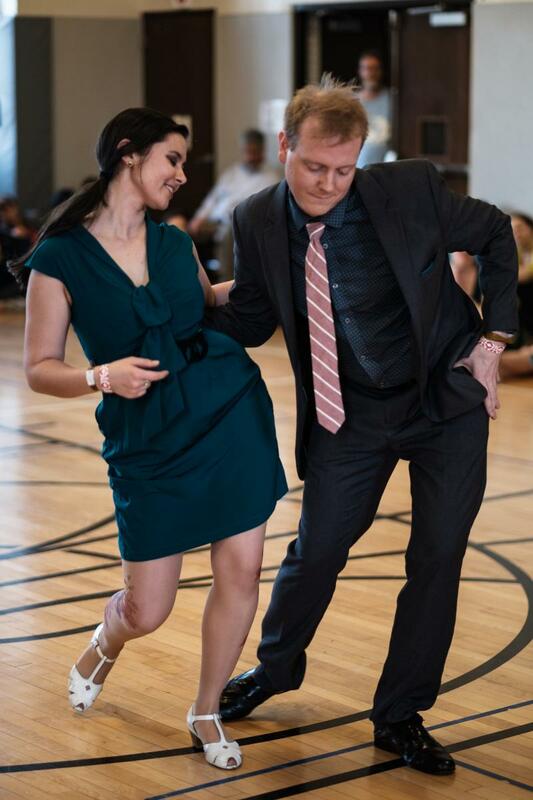 Clyde and Laura are known for their dreamy connection on the dance floor and their friendly and flexible classes. Coming from different dance backgrounds, Clyde and Laura combine their dance knowledge to make their classes approachable to students of all backgrounds and dance training. Clyde and Laura are especially interested in the numerous blues idiom dances; they are currently studying slow drag, struttin’, the strut, stride, Savoy walk, and Piedmont blues. We’d love to help bring these dances to your scene! Together, Clyde and Laura have taught many local classes, local workshops, and at several events including Bambloozled 2017, Blues with Friends 2018, and Blues Bump 2018! They also took 1st place in the Mile High 2016 Open Strictly and were finalists in the bluesSHOUT! 2017 All-star strictly. Clyde Wright is a social dancer, teacher, DJ, competitor, and performer from Washington DC with over fifteen years of partner dance and stage (dramas, musicals, operetta) experience and a lifetime of musical experience in a variety of forms. 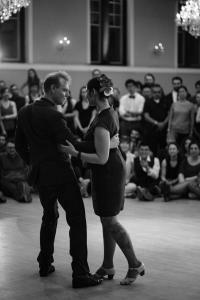 His intense study of partner dances began over a decade ago with West Coast swing and he quickly discovered blues, tango, Lindy, salsa and fusion dancing from there. His natural curiosity and love for learning has driven him to study all of these forms in private lessons with nationally-recognized instructors, allowing him to quickly accelerate his learning. Clyde is most interested in being the best partner he can, and is passionate about both leading and following in all of the dance forms he has studied. He has placed and won in many blues and West Coast swing competitions over the years, in addition to performing various choreographed pieces, of which he has created with his partners. As an instructor, he loves breaking down all of the subtle interactions that can happen between partners in a variety of ways to help students with the learning process and is interested in bringing new methods of teaching to groups that aren’t commonly seen in social dance instruction. His instructional style is breezy, entertaining, and self-aware, knowing that a relaxed, fun learning environment is the ideal incubation for creativity and exploration. Clyde teaches and DJs regularly in Washington, DC and is hired to teach and DJ regionally up and down the East Coast. Recent project of Clyde’s include co-hosting and creating the Blues Dance World and Fuse Muse podcasts and his current area of dance study is balboa.